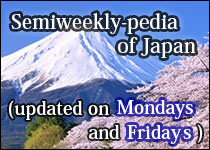 Comiket, or Comic Market, is one of the largest conventions in the world. 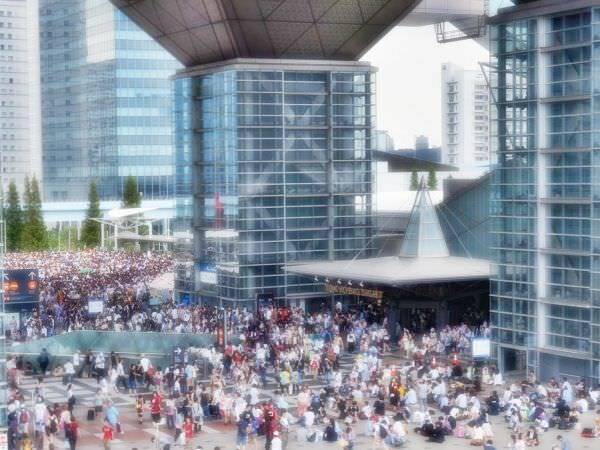 It is held at Tokyo Big Sight (refer to #350) twice a year, around Obon holiday season (refer to #039) and around the end-of-the-year season (refer to #183). 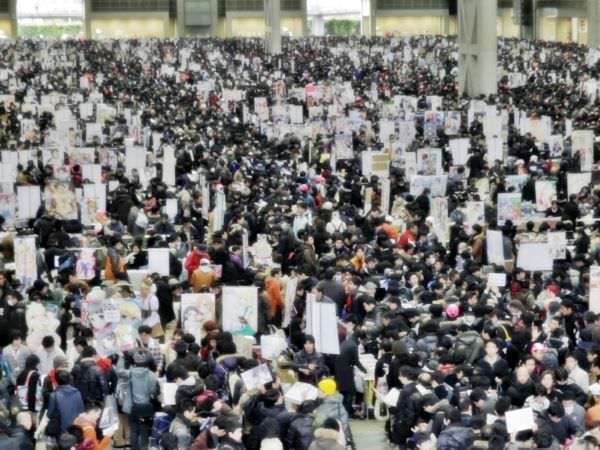 Comiket has been attracting more and more people from all around the globe and nowadays it reaches nearly a million people. 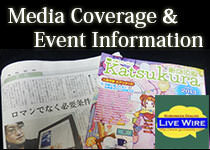 The summer edition is called "NatsuKomi (meaning Summer Comiket)" and the winter edition is "FuyuKomi (Winter Comiket)".